Over the past two years and amidst a deeply divisive presidential election cycle, American Muslims have found themselves at the center of heated social and political debates. One byproduct of this increased attention has been a spike in negatively charged rhetoric and discriminatory acts. What is often missing in the national discourse are American Muslim voices or an accurate understanding of this very diverse community. In this context, the Institute for Social Policy and Understanding (ISPU) conducted its second annual American Muslim Poll, designed to help public officials, civil society stakeholders and other interested parties gain a well-rounded understanding of the American Muslim community. The survey captured the attitudes and opinions of individuals from a variety of religious groups (American Muslims, Jews, Catholics, and Protestants) and Americans who do not affiliate with a religion on topics such as religion, politics, civic engagement patterns and more. Dalia Mogahed, director of research at ISPU, will present the findings of the survey followed by a lively discussion with an esteemed panel of guests, moderated by award winning British journalist, author, and political commentator, Mehdi Hasan. Panelists include Imam Johari Abdul-Malik, the Director of Outreach for the Dar Al Hijrah Islamic Center in Northern Virginia; Zainab Chaudry, Spokeswoman and Maryland liaison for the Council on American-Islamic Relations; Walter Ruby, the Muslim-Jewish Relations Programs Director at the Foundation for Ethnic Understanding; and Dr. Susan Sherr, the Study Director from Social Science Research Solutions. This event is being cosponsored by the Institute for Social Policy and Understanding and the Religious Freedom Center of the Newseum Institute. 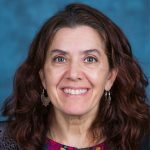 Meira Neggaz, speaker, is the Executive Director at ISPU, where she is responsible for the institution’s overall leadership, strategy, and growth. Meira works to build and strengthen ISPU, to cultivate relationships with community leaders, policy makers, scholars, partner institutions and stakeholders, and to broaden the reach and impact of ISPU’s research. 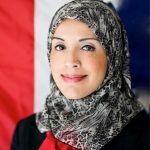 Dalia Mogahed, speaker, is director of research at the Institute for Social Policy and Understanding, where she leads pioneering research and thought leadership programs on American Muslims. 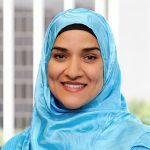 Mogahed is former executive director of the Gallup Center for Muslim Studies, where she led the analysis of surveys of Muslim communities worldwide. 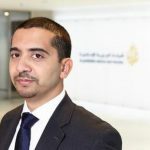 Mehdi Hasan, moderator, is an award-winning British journalist, broadcaster, author and political commentator. He is the presenter of both UpFront and Head to Head. He was named one of the 100 ‘most influential’ Britons on Twitter and one of ‘The 500 Most Influential Muslims’ in the world. 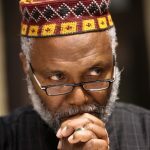 Imam Johari Abdul-Malik, panelist, is director of outreach at the Dar Al Hijrah Islamic Center and former Muslim chaplain at Howard University, the first Muslim officially installed as a chaplain in American higher education. He is currently head of the National Association of Muslim Chaplains in Higher Education. Dr. Zainab Chaudry, panelist, is spokeswoman and Maryland liaison for the Council on American-Islamic Relations, the nation’s largest Muslim civil rights and advocacy organization. She is on the Advisory Board of the Interfaith Action for Human Rights, and serves as it’s liaison to Shoulder-to-Shoulder, an interfaith campaign countering anti-Muslim bigotry. Walter Ruby, panelist, is the Muslim-Jewish relations program director for the Foundation for Ethnic Understanding. 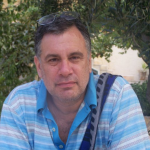 He has served as New York and United Nations correspondent for the Jerusalem Post and Moscow correspondent for The Jerusalem Post and The Forward and wrote for the New York Jewish Week, the New York Daily News. Dr. Susan Sherr, methodologist, is the Vice President of Demographic and Policy Research at Social Science Research Solutions. 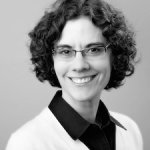 She directs public policy and public opinion research for clients in government, academia and the non-profit sector. Manages the staff resources and professional development of the project management team.